A Place to Excel - Theracare, inc. The framework for a fulfilling career. We invite you to discover new ways to elevate your career with Theracare. We have honed our strength in rehabilitation fields of Physical, Occupational and Speech Therapy and provide our services to Skilled Nursing Facilities, Continuing Care Retirement Communities, Independent & Assisted Living Campuses, Acute Care Hospitals and Home Health. We pride ourselves in finding and recruiting the right therapists from new graduates to seasoned veterans to Join our team. We strive to foster a supportive team environment supervised by our own regional managers that are there to give clinical and professional support. 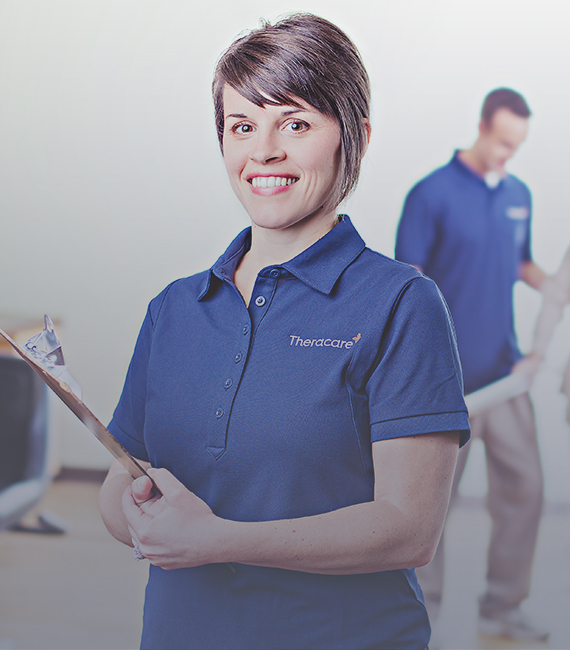 Theracare offers an unwavering commitment to our employees and their individual goals throughout their entire career. As a employee of Theracare, you’ll have access to the most advanced equipment and rehabilitation facilities available today. In addition to providing the equipment and facilities, we can assure that our employees get help with professional development and opportunities to continuing their education in the ever-changing healthcare landscape. Having showcased just a taste of all Theracare has to offer, we invite you to reach out and discover new ways to elevate your career and maximize your potentials with Theracare. We know you have choices when choosing therapy employer and appreciate your consideration. Let us show you the Theracare distinction and our 100% commitment to our employees. Receive a retirement plan that requires no investment on your part. Free money for retirement! There is no limit on how much this can grow.